Elongated for extra coverage, the Nike AAE 1.0 1/2 Zip Men's Hoodie helps keep you covered with woven polyester-wool blend, an adjustable, ergonomic hood and a off-centre, half-zip closure. Elongated for extra coverage, the Nike AAE 1.0 1/2 Zip Men&apos;s Hoodie helps keep you covered with woven polyester-wool blend, an adjustable, ergonomic hood and a off-centre, half-zip closure. Data-informed thumb holes are designed to keep the cuffs moving comfortably and naturally with you while avoiding sleeve tug. A zipped back pocket gives you easy-access storage. A half zip on the right hem allows for ventilation and stylish accenting, while toggles on the hood and inside hem help you find the ideal coverage. Elongated fit sits below the hip for added coverage. Fabric: Body: 70% wool/30% polyester. Overlays: 100% nylon. Lining: 91% polyester/9% elastane. 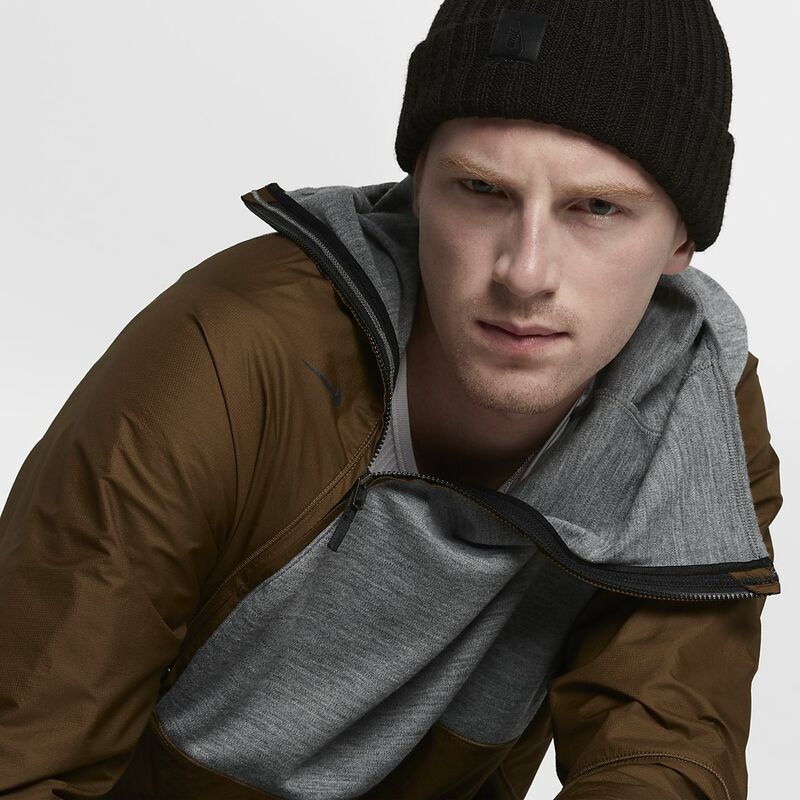 NikeLab presents a men&apos;s apparel collection that follows human form and function to perfection. Backed by decades of Nike body-motion and heat-map research, Nike AAE 1.0 underlines the future of apparel by combining data-driven design with urban utility and natural motion. This performance-ready collection pulls inspiration directly from the greatest example of generative design: you. Have your say. Be the first to review the Nike AAE 1.0 1/2 Zip.